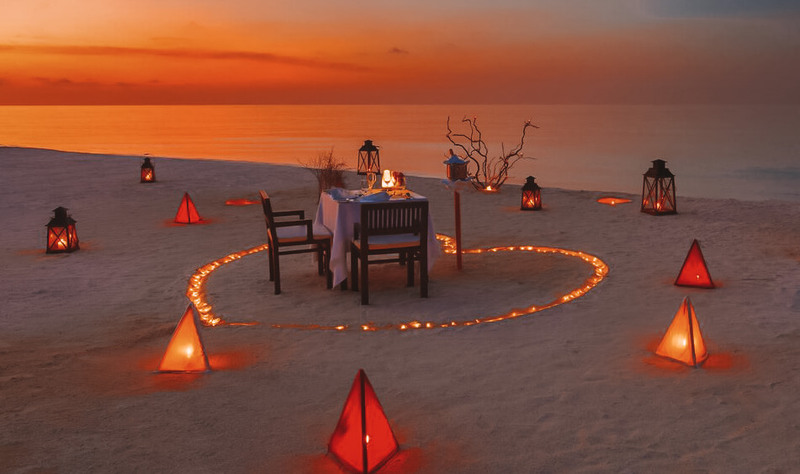 Celebrate an endless honeymoon in the wilderness of a magical island in Maldives. Official Indian Ocean’s Leading Luxury Tour Operator for 2014, 2015 & 2016, the World Travel Awards gives you the confidence that OV Holidays’ Maldives Honeymoon Package Choices are nothing but first-class. 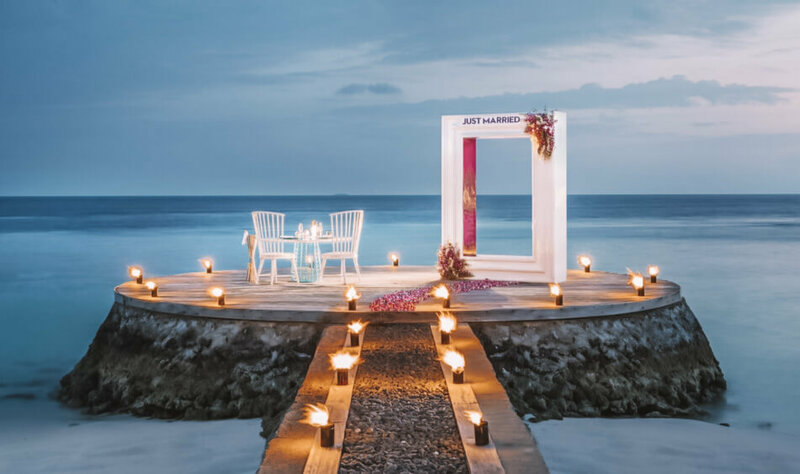 Take the leap and make your honeymoon an experience of a lifetime with a cocktail in your hand while watching the stunning view of the sinking sun followed by the most romantic candle-light dinner setting by the beach. 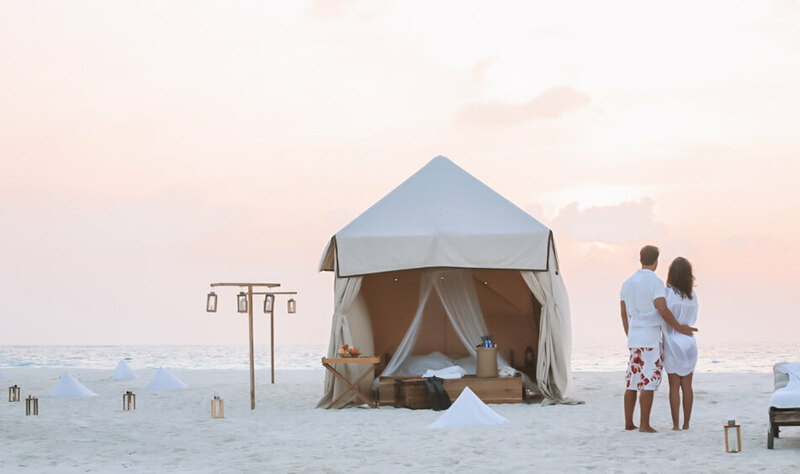 Afterwards, cocoon in your villa with the perfect honeymoon set up: romantic music, flowers, a bathtub filled with warm water and flower petals and an enchanting bed decoration. 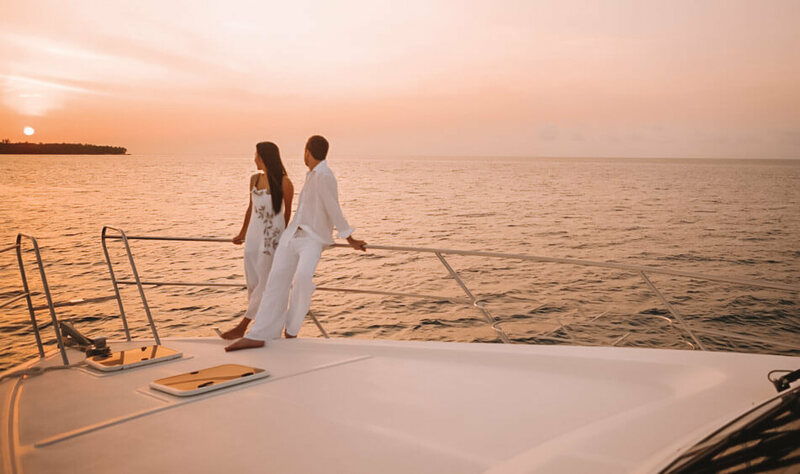 In a special place where memories are created, honeymoons are even made more special. Fruit platter and bottle of champagne to start with, a choice of private yoga class or snorkeling trip for two to get cozier and candlelit beach dinner to top the experience. You also get gifts and spa voucher on the sides. We invite you to an intimate and magical moment with tropical fruits that blends tastefully with every sip of champagne in your cozy villa one night of your honeymoon.Heighten the celebration with a romantic 3-course menu candlelight dinner and what a way to end your stay with an excursion you will enjoy and speak of to your friends and family upon your return. 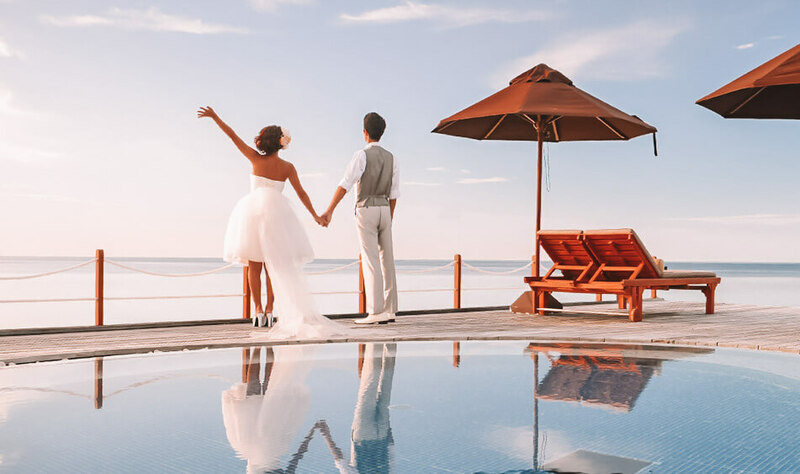 Your honeymoon needs to be special, and it should be. We’ll get the paraphernalia ready!. Sip champagne while watching the colorful changing sky in the company of your loved one. Followed by couple’s massage and culminating the night with a special villa set up with flowers and romantic music to get into the mood. And yes, a special souvenir for you to bring the memories back home. A spontaneous and playful atmosphere will delight you at every turn in LUX* and every day is the peak of your honeymoon with all the surprises that await you. Honeymooners discount, loads of welcome gifts, sparkling wine, honeymoon cake, romantic dinner, starlight cruise, cocktail making class... name it. What else can you ask for? 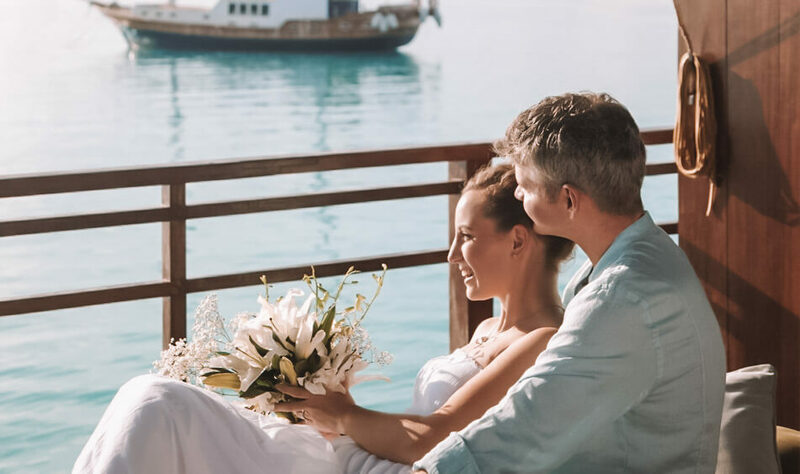 Enter into the honeymoon bliss with your villa set up for love and romance; indulge into a romantic set dinner at Javvu restaurant get pampered with Kandu Boli spa treatment, and finally soak your souls in honeymoon bath to climax your stay. Honeymoon at Shangri-La is a pleasure for the senses and a haven for passion. Your honeymoon will be the first most unforgettable hallmark of your married life. What a perfect way to celebrate it in the most romantic surroundings in the world with panoramic beachside views as your backdrop while you celebrate your affirmation of love. Enjoy a bottle of champagne, special honeymoon turndown, three course romantic beach dinner and special gift to treasure. The romance of the sparkling horizon stirs something within us. Wouldn’t it be nice to see dolphins too? Cruise in passion until you see one. 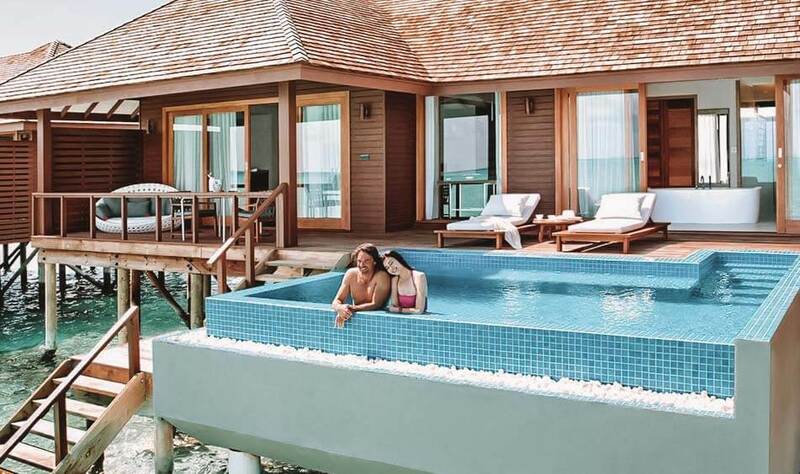 All with this Best Maldives Honeymoon Package. How sweet is it to count stars and Saturn’s rings in the Observatory at night with your sweetheart? Priceless! Our magical honeymoon gifts and activities will definitely leave you spellbound.